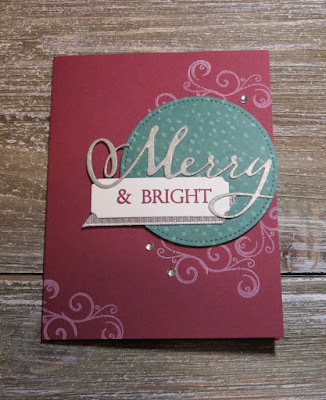 Karina's Kreations: Stampin'Up Merry To All! I have a Merry Christmas to all card to share with you. This from my friend Winona. She used the Merry Christmas Thinlit Dies to cut out the "Merry" and colored it with Champagne Mist Shimmer Paint. Isn't this a pretty card?